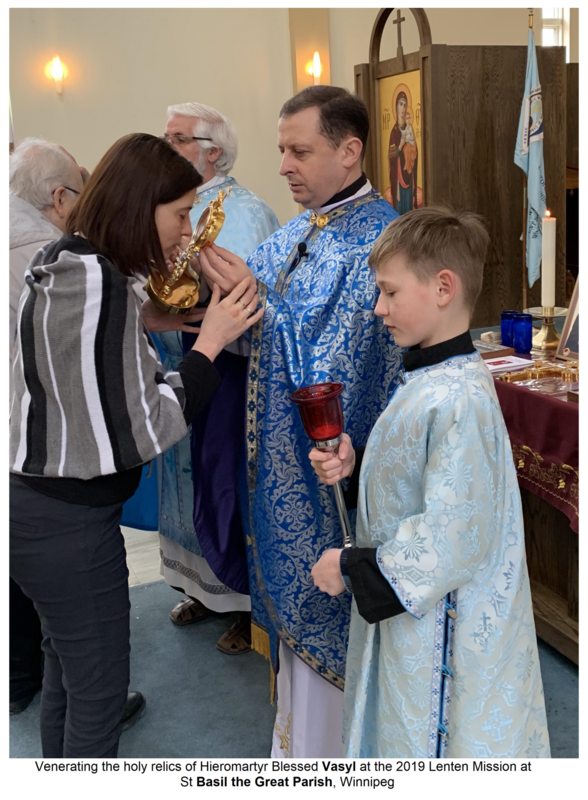 The 2019 Lenten mission took place on the 5th to the 6th of April the Lenten mission at St. Basil's parish in Winnipeg. Pastor Fr. Ihor Shved was able to invite the perfect Mission preacher for our parish. 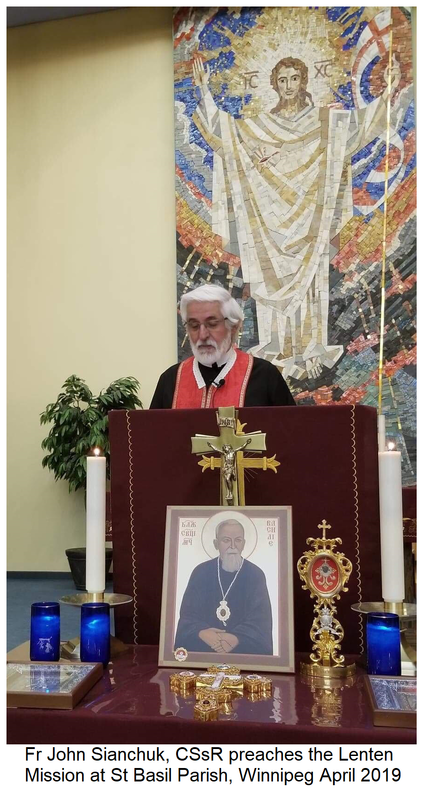 It was a wonderful possibility for all parishioners and guests to prepare ourselves for the Resurrection through repentance, Eucharist, prayer through the presentations of Father John Sianchuk, CSsR. 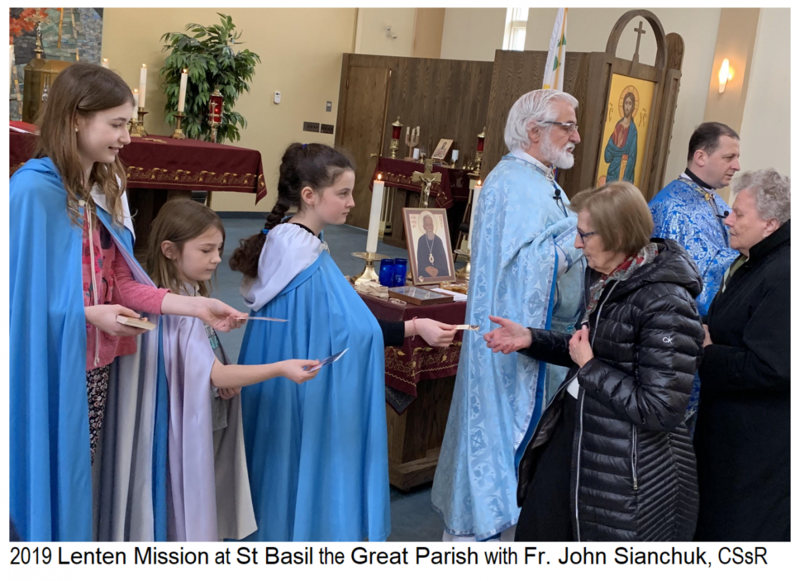 He took us on a little journey into the heart and life of Blessed Vasyl Velechkovsky during our parish mission to illustrate the power of faith in Jesus Christ. A particularly poignant moment for me was hearing that, when he was a young boy, Blessed Vasyl's mother dedicated him to the Mother of God; feeling that all those who mystically held her son, Jesus, in their hearts would be beloved by His mother. I was moved by the power of the gift his mother had given Blessed Vasyl because that gift of the awareness of the presence of the Mother of God had sustained him during the imprisonments and tortures he endured during the communist years and he sensed her protection throughout his life. Then came the realization that this gift is ours to bestow upon our children and grandchildren and how it may sustain them through difficulties they may face. 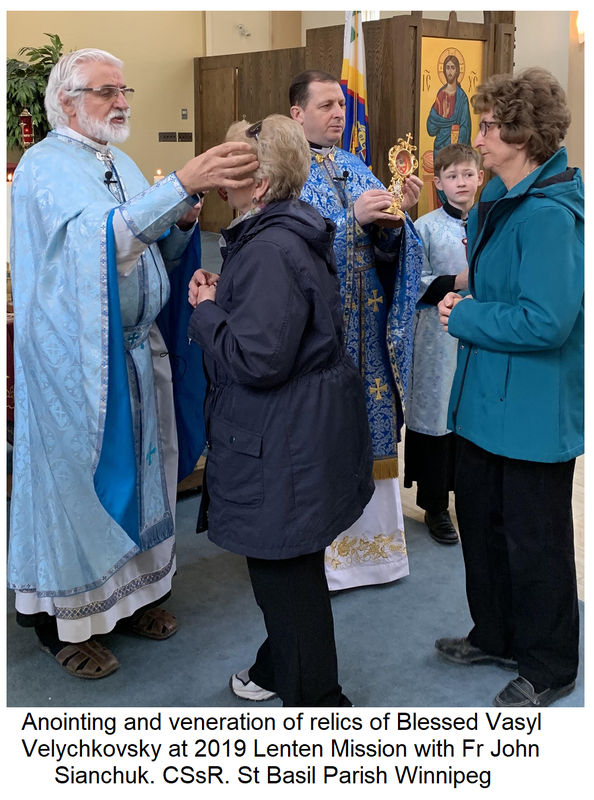 We were told of the relics and holy oil that have turned potential tragedies into miracles and of how WE are now blessed by the presence of the Blessed Vasyl Velechkovsky Shrine at St. Joseph's church and the opportunity to visit it. Blessed Vasyl's life was not an easy one but the manner in which he lived it demonstrated his love for God and compassion for his fellowman. The suffering Jesus endured for us declares the love God has for each of us, a love that calls us into a closer relationship with Him.